25 yrs ago on this day 21st June 1991, P V Narasimha Rao took oath as Prime Minister along with Manmohan Singh as FM. 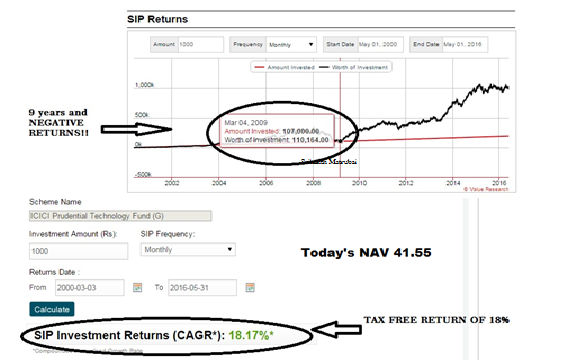 Sensex has definitely given good returns but Mutual Funds has given GREAT returns. So, yes. Sensex has grown well but MUTUAL FUNDS HAS GROWN BETTER.....MUCH MUCH BETTER. Of course, both the Sensex and Mutual Funds did not have a Linear Growth and they will NEVER have. That's exactly the reason you need to have an Advisor who can handhold you and guide your investment. Let me take the example of ICICI TECHNOLOGY FUND. The fund had gone down from NAV of Rs.10 to as low as Rs.2.4 and sure enough, 999 out of 1000 investors would have panicked and would have stopped their Sips and would have exited the fund as soon as it touched Rs.10 to recover their costs. We have seen innumerable times, that investors are willing to wait on a LOSS investment to get to their COST value and the same would have happened. But, a Competent Advisor would have ensured that the investor continued his sip and stayed invested. 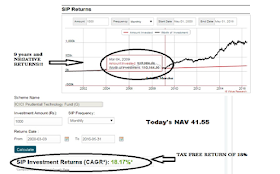 This would have now resulted in a return of 18.42% CAGR. 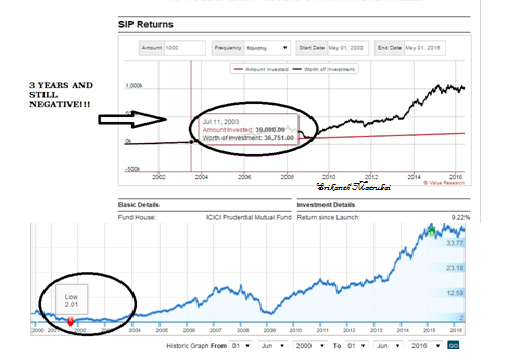 Just shows that if you stay for enough time in your fund, you WILL get your returns. TIME IS MAXIMUM importance in investment. Of course, a Competent Advisor, would have in 1st place, would not let you invest in a Sector Fund (without a exit plan)....that of course, is a different topic which we will discuss some other day. So, friends, please understand Equities is the ONLY asset class which has consistently beaten Inflation and all other asset classes (FD, PPF, Gold) over all periods of time and for you to make money in Equities, the BEST ROUTE IS MUTUAL FUNDS.